To give all children the chance to read and succeed. Less than half of children from economically-disadvantaged homes start school with the skills they need to be successful. 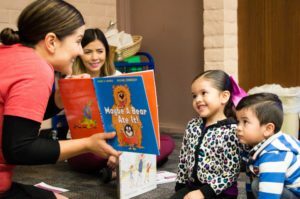 Your gift to Make Way for Books gives a young children will have early learning experiences so they start school ready to read and succeed. 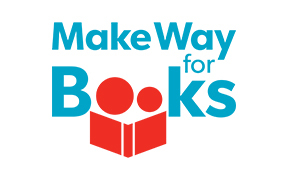 Make Way for Books provides programming where young children and families learn together each week. Children discover the joy of books while developing literacy skills. Parents like Sarah skills and confidence as their child’s first, best teacher and receive books and resources each week… “Make Way for Books has shown me the importance of being the first teacher in my daughter’s life. They’ve given me the equipment I need to teach her in the right way…” shared Sarah. Check out Sarah’s story in the video below and make your gift today to help us create change for more children and families!